I learnt that my joy could come from getting out of my own head and supporting others. Today I have the great privilege to discuss with Today I have the great privilege to discuss with Penny Power is Entrepreneur, Community Builder, Professional Speaker & Author. She founded Ecademy, the first online business community for business in 1998, for which she was awarded an OBE in 2014. I was a member of Ecademy back then when LinkedIn wasn’t a thing yet and admired what Penny and her husband Thomas Power have built. In this conversation, Penny opens up and tell me about the reality behind the glamour. What we never get to see behind the shiny side put forward and why she decided to talk openly about it now. She tells me the unplanned circumstances that led her to go into business and how an encounter with a young child developed her passion for helping others. She also shares why she and her husband are passionate about building great network of entrepreneurs and how they went from being valued at £22 million pounds to zero with 3 young kids to feed and the surprising lessons learnt from this experience. She tells me how she realised that the online world was causing isolation and mental health issues and has decided to talk about the hardship of entrepreneurial journey from a mental and emotional point of view. 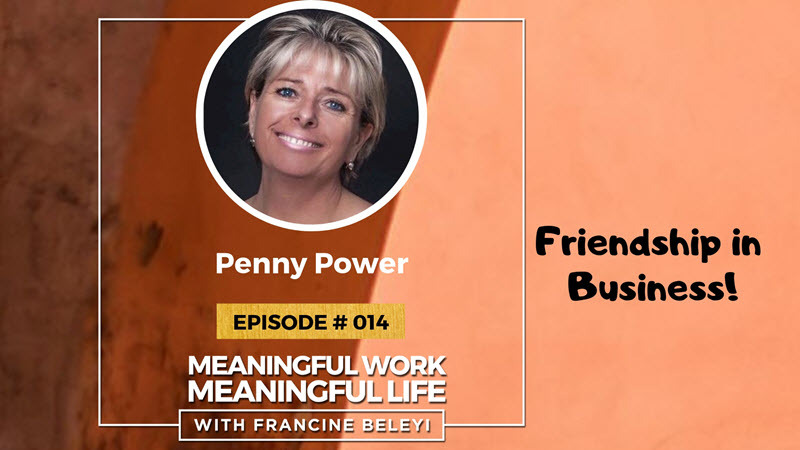 Penny believes that we should treat one another in business with kindness and create safe places to feel like we can be ourselves.